Florida continues to be ranked one of the worst states in the country in which to be a cyclist. A study by The Governors Highway Safety Association has placed Florida at the very top of the list of the most dangerous places in which to ride a bike for transportation. In fact, the annual death toll for bicyclists in Florida is 110 people. On top of that, hundreds more suffer injuries and wind up in the hospital after being hit by a car or truck while riding their bike. Even more tragic than these numbers is the fact that in any given year, more than half of these bicycle accident victims are children. Bicycle accident injuries are typically quite serious. The most common cause of death in a bike accident is from head injuries. The most debilitating and life-changing injuries are brain injuries. If you were hurt through no fault of your own while riding your bike in Orlando due to the negligence of a motorist, you may be entitled to compensation. At The Umansky Law Firm, we work tirelessly to ensure accident victims receive the justice they deserve. The driver of a motor vehicle has a responsibility to drive with care: The most common “reason” we hear from car drivers after a car-bike collision is that they didn’t see the bike. That’s the same thing they say when they hit a motorcycle. It’s not a valid an excuse in either case. A defect in the bike may have played a part in the accident: It’s not only car drivers who cause bike accidents. Sometimes there is a product defect in a critical part of the bike that finally breaks, causing a crash. This can be equally deadly, especially if the biker is traveling at high speed at the time. The U.S. Consumer Safety Commission, which listing current product recalls, has listed recalls on such things as cable stops, handlebars, unsafe spoke protector disks, bicycle suspension forks, and front trays. Unsafe properties can also lead to injury: It is the responsibility of property owners to maintain their property in a reasonably safe condition. This may include installing signage to warn of hazards, fencing a property, or repairing and maintaining the property. In particularly egregious cases, it may be possible to award victims punitive damages. 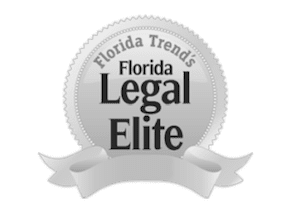 Talk to one of our lawyers about your Orlando bike accident for free to explore your legal options for recovery at this time. Call 407-228-3838 or contact us around-the-clock on our live chat. Our attorneys look forward to serving you.